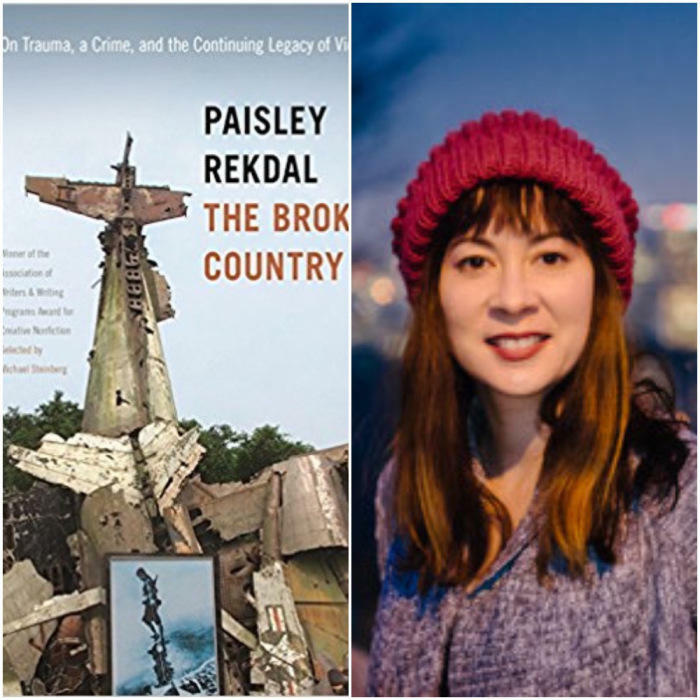 A conversation with Paisley Rekdal, author of "The Broken Country." The Broken Country uses a violent incident that took place in Salt Lake City, Utah, in 2012 as a springboard for examining the long-term cultural and psychological effects of the Vietnam War. To make sense of the shocking and baffling incident―in which a young homeless man born in Vietnam stabbed a number of white men purportedly in retribution for the war―Paisley Rekdal draws on a remarkable range of material and fashions it into a compelling account of the dislocations suffered by the Vietnamese and also by American-born veterans over the past decades. She interweaves a narrative about the crime with information collected in interviews, historical examination of the arrival of Vietnamese immigrants in the 1970s, a critique of portrayals of Vietnam in American popular culture, and discussions of the psychological consequences of trauma. This work allows us to better understand transgenerational and cultural trauma and advances our still complicated struggle to comprehend the war. Paisley Rekdal is the author of a book of essays, The Night My Mother Met Bruce Lee, the hybrid-genre memoir Intimate, and four books of poetry: A Crash of Rhinos, Six Girls Without Pants, The Invention of the Kaleidoscope and Animal Eye, which was a finalist for the 2013 Kingsley Tufts Prize and winner of the UNT Rilke Prize. Her newest book of poems is Imaginary Vessels, and her most recent work of nonfiction is a book-length essay, The Broken Country: On Trauma, a Crime, and the Continuing Legacy of Vietnam. Her work has received a Guggenheim Fellowship, the Amy Lowell Poetry Traveling Fellowship, a Civitella Ranieri Residency, an NEA Fellowship, Pushcart Prizes, the 2016 AWP Nonfiction Prize, and various state arts council awards. Her poems and essays have appeared in The New York Times Magazine, American Poetry Review, The Kenyon Review, Poetry, The New Republic, Tin House, the Best American Poetry series (2012, 2013, 2017, and 2018), and on National Public Radio, among others. She teaches at the University of Utah, where she is also the creator and editor of the community web project Mapping Salt Lake City. In May 2017, she was named Utah's Poet Laureate.